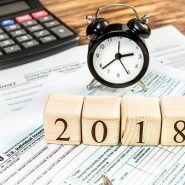 If you are wondering how the newly enacted tax bill will affect your 2018 tax returns, you are not alone. Mark Wells at Preferred Financial Services lists some significant changes in the way residential property will be treated for tax purposes. Primary-residence interest deduction—2017 allows for interest on the first $1 million of mortgage debt to be deducted from your taxable income. 2018 will reduce this to interest on the first $750,000. However, if you purchased your home before December 15, 2017, you will be grandfathered at the $1 million amount. Second-home interest deduction—This will follow the same guideline and change as above. However, keep in mind that the deductibility limit ($1 million or $750,000) is the TOTAL mortgage debt whose interest can be deducted. For instance, if you had $600,000 in primary-residence mortgage debt and $500,000 in second-home mortgage debt, only the first $1 million (or $750,000 in 2018) of interest on that total could be deducted. Property-tax deductions—For 2017, there are no limits to deductibility of property taxes for primary or second homes. For 2018, there will be a limit to property-tax deductions and the deduction is linked to a total of $10,000 in property tax and state-income tax. Equity-line interest deduction—Interest on a home-equity line of credit is fully deductible in 2017. In 2018, none of the interest on an equity line will be deductible. There may be an exception to the 2018 change if the money from the equity line was used to improve the house, but this exception is currently awaiting clarification by the Tax Policy Center. Sale of your primary residence—2017 guidelines allow you to defer the capital-gains tax on the sale of your primary residence as long as you acquire a new primary residence of equal or greater value within the allowable time frame after the sale. 2018 guidelines will not change this. 2017 guidelines granted you a one-time exemption from capital-gains taxes if you were 55 or older when selling your primary residence. (The exemption was $250,000 for an individual and $500,000 for a married couple). The 2018 tax law does not change either of the 2017 guidelines. 1031 Exchanges—There are no changes to the 1031 Tax-Free Exchange guidelines in the new tax bill. Rental-property deductions—No changes were made in the new tax laws regarding deductibility of interest, property taxes, and other expenses for rental properties. 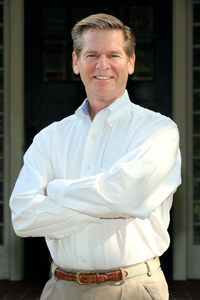 I have been providing mortgage broker services to the Upstate for 29 years. I welcome questions and comments and can be reached at 864-235-9596 or via email at Mark@TheGreatestRates.com.